By late Tuesday evening, the Legislature had sustained all but six of more than 83 vetoes by Gov. Paul LePage, as the Republican minority stood with LePage. 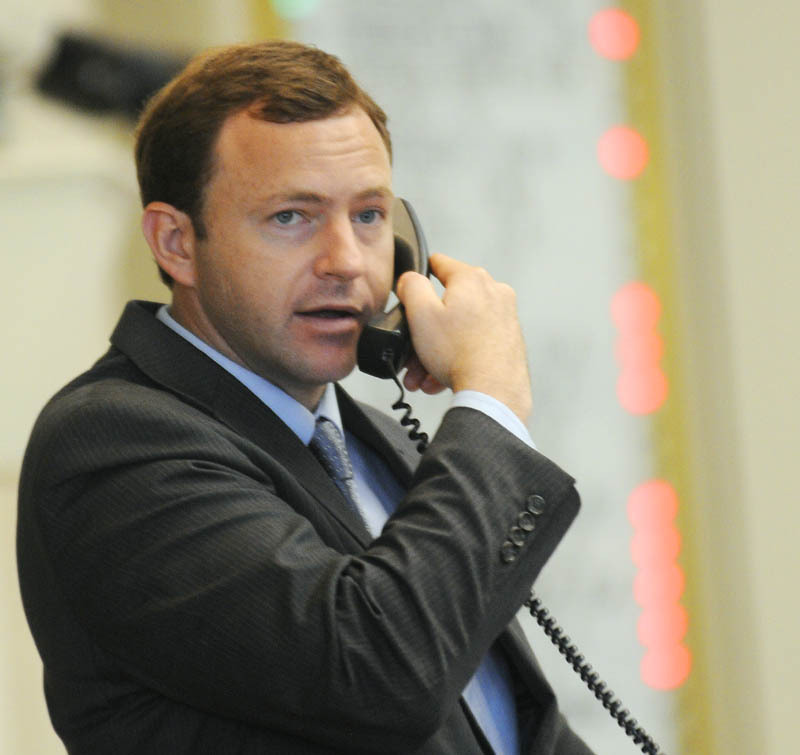 AUGUSTA — Some bills went down loudly, a fitting end to a legislative session marked by partisan jousting and political posturing. Others, including a bill designed to strengthen the state program phasing out toxic chemicals in children’s products, were defeated without debate, falling with a single bang of the gavel and swept away in an unprecedented number of vetoes by Gov. Paul LePage. L.D. 1181, a bill lobbied intensely in committee and in State House hallways, would have required food companies with $1 billion or more in gross annual sales to report their use of bisphenol-A in food packaging. 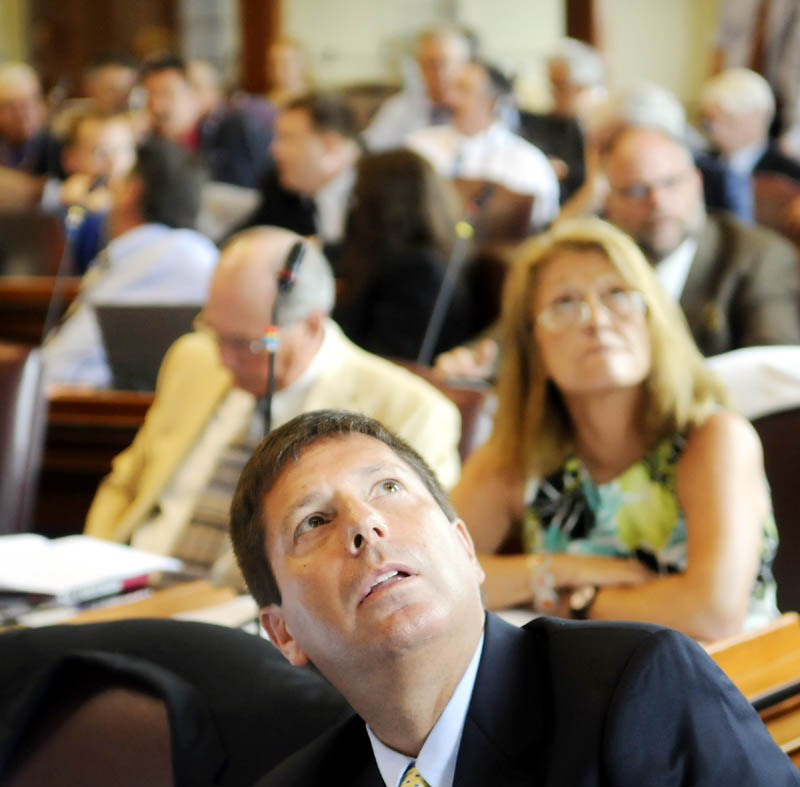 It was one of dozens of bill veto votes taken Tuesday, and one of more than 83 proposals rejected by LePage this session. The governor’s veto total shattered the known record of 49 vetoes set by independent Gov. James Longley in 1977. 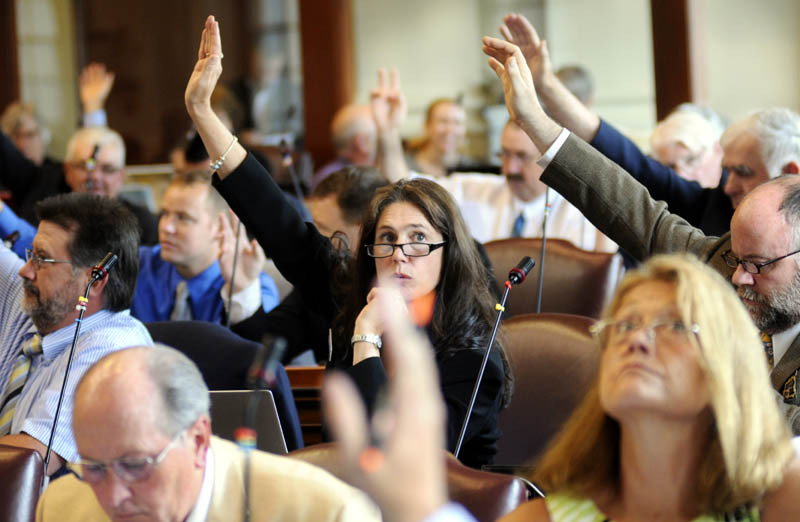 By late Tuesday evening, the Legislature had sustained all but six of them as the Republican minority stood with LePage. Republicans blamed Democrats for the veto record. Democrats, meanwhile, claimed Republicans were backing an extreme governor and playing the role of obstructionist. Republicans and Democrats did agree to override the governor on big-ticket bills, including the state’s biennial budget and sweeping energy bill. On Tuesday, they combined to circumvent LePage on other measures, including L.D. 415, a cellphone privacy bill that requires police to get warrants to access location information from cellphones or other GPS-enabled devices, barring emergencies such as threats of bodily harm. It also requires police to tell people within three days that they have obtained information about them from their cellphone providers. LePage and Attorney General Janet Mills worried the bill would hinder criminal investigations, but the privacy argument won the day with Republicans and Democrats alike. Passage of the bill makes Maine the second state to enact a cellphone privacy law. Montana was the first. Other bills were more hotly contested, but were dispensed with quickly on Tuesday as the Democratic majority realized it couldn’t persuade Republicans to join them to overrule the governor. L.D. 1181 was one of them. It was vetoed by LePage on Monday amid concerns that it didn’t include funding for the Department of Environmental Protection to administer it. Supporters of the bill accused Republicans and the governor for using the cost argument to scuttle the bill. Sen. Seth Goodall, D-Richmond, the bill’s sponsor, was designed to make it easier for the department to implement the Kids Safe Products Act. The Senate sustained the governor’s veto, as Democrats came up three votes short of an override. There was no floor debate. Sen. Tom Saviello, R-Wilton, said bill supporters may have come to realize they didn’t have the votes for L.D. 1181, but it still had the Kids Safe Products Act. * The House of Representatives sustained a veto of L.D. 611, which would have raised Maine’s minimum wage to $9 an hour by 2016 and link it to inflation thereafter. Democrats were seven votes short of achieving an override. * The Senate was four votes short of overriding a veto of L.D. 236, a bill that would have required police to obtain a warrant in most cases before using unmanned aircraft, or drones, for surveillance on Maine residents. * Democrats’ two attempts to amend the 2011 health insurance overhaul law were defeated. L.D. 161 would have created a single rating area for health insurance companies.